Very short term vision used by TfL (no surprise) as there is no plan for a further re-routed 390 when OC to TCR is pedestrianised. I cannot see a logical route for it east of Oxford Circus area. Marble Arch really isn't a suitable terminus for routes from Edgware Road and Bayswater Road unless some sort of new facilities are going to be provided. Do we know the exact route of the 10/23? Sorry to be a pedant but this post should really be moved to the Consultations sub directory on the London Bus Routes thread. The routing of the 10/23 would be as it sounds. Route 10 from Hammersmith to Marble Arch then Route 23 from Marble Arch to Westbourne Park via Paddington. What a flipping joke, as usual they would put out a pathetic consulation and would not listen to any of it. All in all, these changes are what expected to happen with Oxford Street routes. Although the 10/23 route combination proposal sticks out the most. Two things stand out for here; 1) There will definitely be a whole fleet of LTs from the 10 becoming spare as the LTs wouldn't be able through the tight Paddington areas the proposed new route goes through. 2) I presume this new route will have to go out for tender pretty soon. Could be a chance for Tower Transit to gain work after their recent losses and the impending loss of the 23 in it's current form. Agree with your statement regarding the 390. When Oxford Street East gets pedestrianised, I presume it would be rerouted via Great Portland Street, Euston Road and Warren Street as it seems like the only viable route to connect Euston and beyond. There is one alternative routing off the top of my head for the 390 though it means missing out Tottenham Court Road - it could run via Mortimer Street which leads onto Tottenham Court Road itself. Not ideal I must admit though. Merging the 10 and 23 together. Wouldn't this kind of make the proposal to withdraw between Paddington and Aldwych, divert it to Lancaster Gate and extend it to Wembley kind of pointless. It was also kind of pointless extending the 113 to Oxford Circus whilst knowing full well that it was going to removed from Oxford Circus two years later. It's kind of like TfL like messing with peoples minds. I think that it would be better to withdraw the 14 between Piccadilly Circus and Warren Street and reroute the 10 between Hyde Park Corner and Tottenham Court Road via the 14 to Tottenham Court Road. As for the 23 I prefer the idea of it being extended to Wembley, withdrawn between Paddington and Aldwych and diverted to Lancaster Gate rather than merging it with the 10 because that way the 18 can have assistance and it would provide new links for people in Wembley and Harlesden. I'm not surprised by the other routes in the consultations. 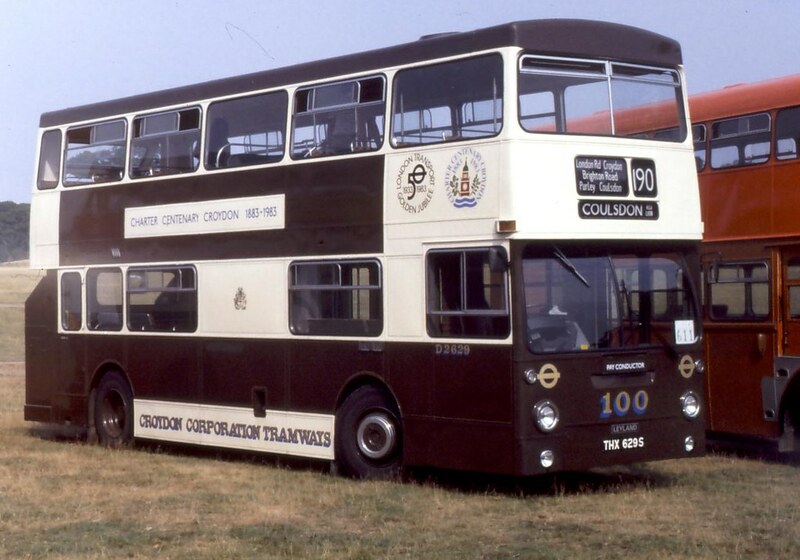 Although I rather have the 390 withdrawn between Tottenham Court Road and Victoria, reroute the 113 between Portman Square and Oxford Circus and extend it to Trafalgar Square so to assist the 139 and link Swiss Cottage with Oxford Circus and divert the 7 to Victoria to assist the 36 instead of there proposals. I've posted this a few times: "Consultation-we listen-we let you think your time is not wasted-we ignore and do what we intended all along." Rant over from a cynical old codger. Looks like the cut back of the 159 may coincide in time with the extension of the 3 to Russel Square, relevant buses likely to be reallocated accordingly. The 23 to Wembley idea seems to have been quietly forgotten about. I'm amused by the decision not to allocate a route number to the combined 10/23 - continuing fall out from the 13 debacle I assume! I assume the proposals for the 3 are considered adequate to replace the 10 past the British Museum. Probably vital to Tower Transit X, they get to operate the route, but no doubt RATP will have something to say about that! For something that is so "carefully considered" by TfL why is there no commentary about the replacement of route 10 between Marble Arch and Kings Cross via Russell Square? I agree with the earlier comment that these plans do not deal with route 390 properly. It is quite clear that later phases of pedestrianisation pose significant issues - where does it go after Baker St if Oxford St is pedestrianised west of Selfridges? Ditto for the eastern half of Oxford St. There is no suitable westbound route for it off TCR given a busy cycle route cuts through this area and there will be huge complaints about buses being sent alongside it. There are also issues as to where accessible stops could be located. These plans are a complete disaster. 2 bus routes via Wigmore Street. No mention as to whether Crossrail will have a weekend night service. If Crossrail is the "saviour" of Oxford St and the way in which the area remains "accessible" to disabled people then it won't be if there is no night service every night ideally or at weekends as a sub optimal option. The Central Line only provides partial accessibility at TCR and Bond St but not at Oxford Circus or Marble Arch (where the main bus stops will be). Do the lunatics who have come up with this scheme really expect people to schlep along Oxford St at night to access night buses at a windswept Marble Arch? I mean really??? They must be insane. Goodbye whatever night life there is in the area. I also don't believe the stand arrangements can work. Marble Arch cannot cope now and won't in future with more routes forced to stand there. The proposal to send the 94 to a stand in North Row is incompatible with the eventual pedestrianisation west of Selfridges. Why on earth can't TfL give us the full end result rather than waste time and money on creating stands that may have a life of 12-18 months at best? I thought money was supposed to be tight? Right I'm just off the smash things to try to vent my rage about this destruction of bus routes. I don't think the pedestrianisation of Oxford Street was in any doubt. Surely the consultation, which is still open, is about how it is implemented? The lunatics who have come up with this scheme? Is such emotive language really necessary? You might not agree with it, and that's your prerogative of course, but it I really cannot see what is so dreadful about it? If I'm wrong then I'm sure businesses in the area will be up in arms and the whole area will be a ghost town within a few years but I really don't see that happening.